The Moon is void from 9:59 AM forward (until early tomorrow — at 12:29 AM). The Moon is waxing and in its First Quarter phase until 12:35 AM, after which the Moon is in its Waxing Gibbous phase. 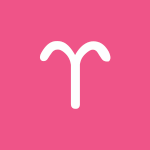 While you’re especially focused on your inner world or family/personal life right now, dear Aries, you’re not finding yourself stuck inside yourself or in the past. In fact, you’re in a good position to think in especially progressive ways, finding excellent solutions to issues that have been bothering you for some time. You’re looking forward. The Moon continues to transit your intimacy and sharing sector all day, drawing your attention to the hidden elements of life, and of yourself. You are more interested in motivations and intentions than you are of what appears to be on the surface of things. This is a good day for sorting things out, dear Taurus. You’re exceptionally bright and alert, and conversations can go places. You may be able to resolve a conflict or come to a satisfying conclusion related to a work matter now. The Moon continues to transit your partnership sector all day, and this is a time of the lunar month for considering areas of your life that require more balance, as well as your needs for companionship. It’s generally a good time for making compromises and small changes so that you can better accommodate the needs and plans of people you care about. 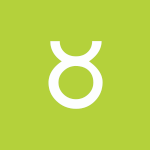 You’re in a great position to work out solutions or plans related to money and business today, dear Gemini. Your ruler, Mercury, is parallel to the Sun, and both bodies are in your money sector. You can be more objective about your practical affairs than usual. 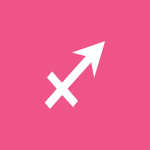 Helping you out further is a creative aspect to Mars, and while you’re inclined to keep things comfortable and familiar right now, you’re not clinging too tightly to tradition. In fact, you’re looking forward, and this position helps you make strong decisions. There is a continued focus on your daily affairs, work, routines, and health today as the Moon completes its monthly visit to your solar sixth house. There can be an emphasis on service, work, and organization today. For now, you’re happy to be working under the radar as you need the time and space to get everything you want to accomplish done. 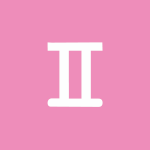 You are in a strong position to see yourself and your capabilities more clearly today, dear Cancer, and this aids decision-making. This can be a fine time to amuse yourself or to pour your energies into a creative project, hobby, or pastime with the Moon spending the day in your playful solar fifth house. There can be a sweet release of tension through conversations with others, or involvement with others can bring you down to earth. Problems tend to be resolved relatively quickly, and it can be empowering to put personal differences behind you. You are thinking both objectively and strategically, and you’re inclined to draw up plans and think about your future with optimism. The Moon spends another day in your home and family sector, dear Leo. It’s a brief but helpful transit that reminds you of the importance of finding your emotional center and your genuine need to feel comfortable and safe. This transit can be considered a “checkpoint” of sorts in the lunar month. With the Sun and Mercury connecting in your solar twelfth house as well, there can be a greater need than usual for personal, private time, and you’re inclined to nurture your insides or inner world. While you are inclined to look within for answers now, it can be a good time to converse and spend time with a partner. You’re in a favorable position for solving problems, making sense of the past, and drawing up plans for the future. Others may seek your advice or wisdom. 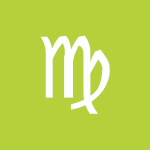 The Moon spends the day in your communications sector, dear Virgo, and this transit stimulates your curiosity. It can motivate you, more than usual, to connect, learn, and venture out and about. You might find the motivation to pour energy into creative or communications projects. It’s also a good time for working relationships and problem-solving related to your work or health. Discussions with a friend can be motivating and significant now. Today is quite excellent, in fact, for the generation of ideas, long-term plans, and strategies, and while you can certainly do this on your own, you might also benefit from others’ input or ideas to jumpstart or inspire your own thinking. It’s a good time for getting your bearings, dear Libra, with the Moon in your stable solar second house all day. You’re focused on achieving a sense of security and safety. Emotional intelligence is with you today, and your objectivity is also in good form. You’re more motivated than usual to do your best and to achieve your goals. You can readily draw upon exceptionally sharp thinking and reasoning along these lines. You’re generating wonderful ideas and drawing meaningful conclusions. On practical levels, you can accomplish much, and keeping a goal in sight tends to bring out your best performance today. 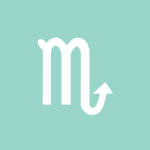 The Moon spends another day in your sign, dear Scorpio, and emotional needs tend to be in the foreground. 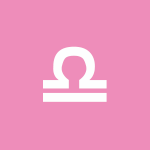 While there is a temptation to fulfill every whim with this transit, the day holds quite a bit of logical energy, with a strong emphasis on sound thinking, and you tend to do what you think more than what you feel just for now. Mentoring and guiding others can be satisfying, and you enjoy learning something or sharpening your own skills and knowledge as you do. This is a good day for seeing the big picture but also with concern for details. It’s a favorable time for initiating a meaningful conversation or sharing your ideas with someone special. 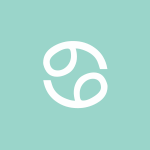 Today is strong for sound thinking and objectivity, dear Sagittarius, mainly related to your close relationships and your personal psychology. You’re in an excellent position to talk about tricky topics reasonably and for coming up with robust plans and strategies along both material and emotional lines. You may be drawing on experience and wisdom to benefit you in many different areas of life. The Moon is in your soul sector all day, and you’re inclined to observe more than participate. It’s an important time for healing through rest and a healthy attitude towards letting go of those things that are dragging you down. Even so, activities that engage your mind are essential for feeling refreshed today. You can make headway with a financial goal now, or there can be new ideas about a deep relationship. This can be a time for getting to the bottom of a long-standing problem. The Moon spends the day in your solar eleventh house, dear Capricorn, and you’re inclined to focus on your social life, ideals, and progressive ideas. 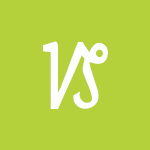 You readily support the people you care about, backing up their visions and dreams with practical solutions. It’s rather easy now to hone in and intuit others’ needs, which you can match with the right kind of support. Today is good for mapping out long-term plans, but with Mars turning retrograde in just a couple days, it’s better to plan than implement. You’d be wise to seek out company today if it doesn’t find you first! Find a mentally engaging activity to focus on with the Sun and Mercury parallel to one another and both transiting your partnership sector. It’s also a good time for bringing more rationality and logic to a relationship problem. 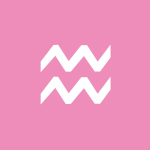 This can be a good day for applying intuition to your work or practical affairs, dear Aquarius. Even so, you’re also thinking especially clearly and objectively. Major forward action is not advised right now since Mars, currently transiting your sign, is just two days from turning retrograde. However, it’s just fine for doing some important thinking. You might brainstorm or think up ways on your own as to how to better manage and organize your daily life and routines. Working on your responsibilities and getting them out of the way is most satisfying to you today, but it’s a fine time for finding a healthier balance between work and play. 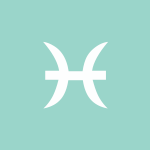 Creative projects can be an area of focus today, dear Pisces, as you’d do well with an outlet for expressing your ideas and feelings. This may also apply to a relationship or romance, as you’re inclined to analyze and sort your feelings out. Conversations or thoughts can be in sharp focus now. The Moon spends the day in your sector of spirit and life experience, encouraging you to branch out. While today can be strong for inventive, unusual, and artistic self-expression, you can be quite moderate and tactful with others. This is a good time for really seeing the patterns of recent ideas and for ideas coming together successfully. Even so, with Mars about to turn retrograde, brand new beginnings are not advised now. Above are astrological event highlights for the day. Full Horoscopes are at Cafe Astrology. 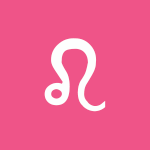 If Your Birthday is June 24th, If Today is Your Birthday full horoscope here. There may be difficulties showing affection or problems with commitments in relationships now. We might experience creativity blocks or inhibitions. Sun 29° Aries 44' 39"
Moon 08° Scorpio 19' 28"
Mercury 03° Aries 37' 36"
Venus 29° Pisces 19' 01"
Mars 13° Gemini 04' 25"
Uranus 02° Taurus 21' 51"
Neptune 17° Pisces 43' 04"
Chiron 03° Aries 28' 38"